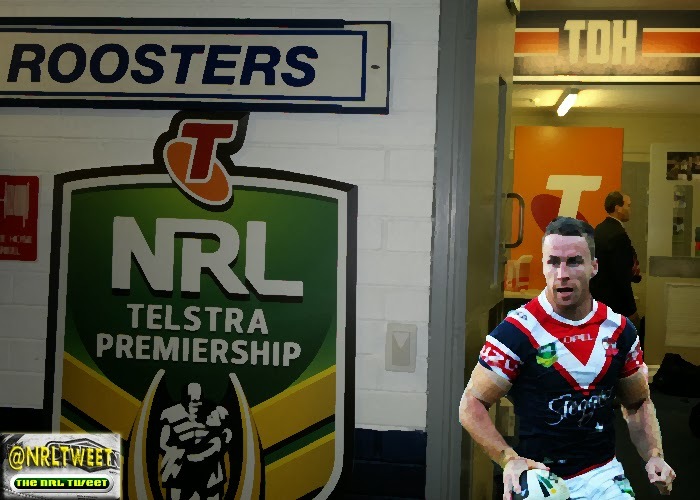 James Maloney has been to the big dance before, so as his Sydney Roosters prepare for their Grand Final assault – he knows exactly how important his contributions are going to be against the Manly Sea Eagles on Sunday night at ANZ Stadium. “We know there’s a lot of threat on Manly’s right side and they’ll be coming down our edge,” Maloney told NOT The Footy Show after the Roosters defeated Newcastle 40-14 in their Preliminary Final on Saturday. Manly’s famed right side features an all-star cast of Glenn Stewart, Daly Cherry-Evans, Jamie Lyon and David Williams, but Maloney stresses that the game will be influenced as much by what the Roosters do as what the Sea Eagles are able to throw at them. “Probably a lot of what we do (on the left) is going to have a pretty big bearing and impact on the outcome of what happens and you know, that’s a good situation to be in,” Maloney explained and he’s not paying lip service to the challenge ahead – his eyes tell you he badly wants this matchup and to prove his edge can make a premiership-winning difference on Grand Final day. Maloney is the key cog in the potent left edge of the Roosters, with try-machines Michael Jennings and Daniel Tupou on his outside and, before an injury late in the season, Boyd Cordner was the backrower regularly featuring on his inside shoulder. In recent weeks with Cordner out, Mitchell Aubusson and Aiden Guerra have stepped up and the left edge hasn’t missed a beat. After Jennings torched the Knights for two sensational tries featuring great support play and then lighting fast acceleration, Maloney doesn’t hide the fact he loves playing alongside his NSW team-mate at club level. With Cordner talking up his chances of a return in the decider, the backrower just another quality piece the Roosters can throw at the Sea Eagles as they wrestle for supremacy on what will be the most talked about side (respectively) of the footy field in Grand Final week. But the win over Newcastle is not a game Maloney is about to put of his mind and forget about (some TLC from Newcastle backrower Jeremy Smith when Maloney was dragged down inches short of the tryline put pay to that idea and his knee is fine he said despite his left leg being covered by a compression garment post-match) – instead he believes the Roosters can take plenty from the way his team stuck to the task put to them by coach Trent Robinson. Tries to Tupou and Jennings in the 31st and 34th minutes broke the game open, and the Roosters weren’t headed from that point. Their opponents this Sunday also took their time to put their stamp on their Preliminary Final, as Manly sported South Sydney a 14-0 lead after 14 minutes only to reel off 30 unanswered points to shock the Rabbitohs and advance to the Grand Final. “I reckon it’ll be different this week against Manly, I think it’ll be all guns blazing from the get-go. They are going to be tough there’s no doubt about that, they’ve been there and done it before and played in plenty of big games so they know the sort of football they have to play. “They are not going to have a bad game and give it to us, we need to go out there, really march through the door and take it. 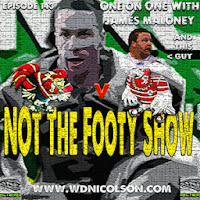 Maloney’s other foray into the Grand Final came in 2011 as a member of the Warriors... against Manly, so he is speaking from experience when he says the Roosters must find another gear in the biggest game of the year. Who is your tip for this weekend's Grand Final - Our Picks went up on Thursday. 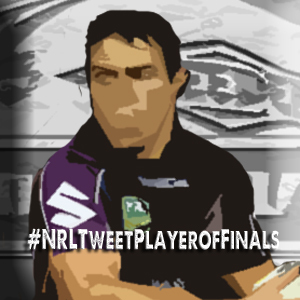 Comment below or grab us on @NRLTweet to give us your prediction.